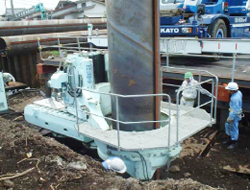 “Press fitting” is one of the way of pile drive at the basic construction. 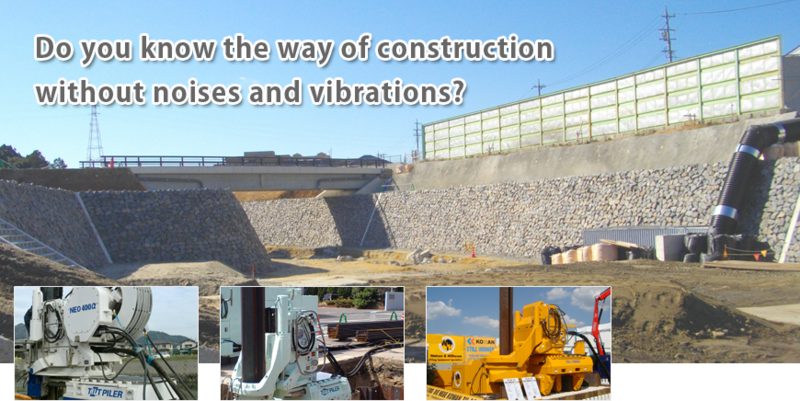 This way reduce damages such as noises and vibrations. 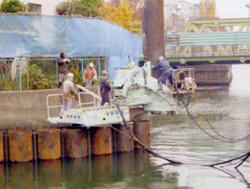 “Press fitting machine” is used for this way of construction. Press fitting machine is light and small, so it is easy to go various conditions of site. You can use it for hard grounds, gravel layers, bedrock layers and unexpected obstacles. And there are attachment which overcomes water, unpaved roads, inclined places and so on. It can be used in any place and reduces damages. It allows us plural work at the same time. This would be helpful when we need speedy and safely works in the emergency time.